The entire Shrink to Fit editorial shot by Steven Meisel for April's Vogue Italia is a bajillion kinds of amazing, crazy disheveled hair that is sometimes a hat, ill-fitting and fraying clothes clothes AND a cast that includes Amber, Freja and Lara. BUT, amidst all the supers, old and new, stands the insanely beautiful Joan Smalls. Seriously, look at that face! I just found out that she's from Puerto Rico, so now I'm double psyched on her (reprezent y'all!). Vogue Italia is so much better than Vogue, this is really well styled and shot and modeled. holy. Christ, she's pretty! Plus, you know I'm all kinds of down with the Puerto Rico. Messy hair=very very good. 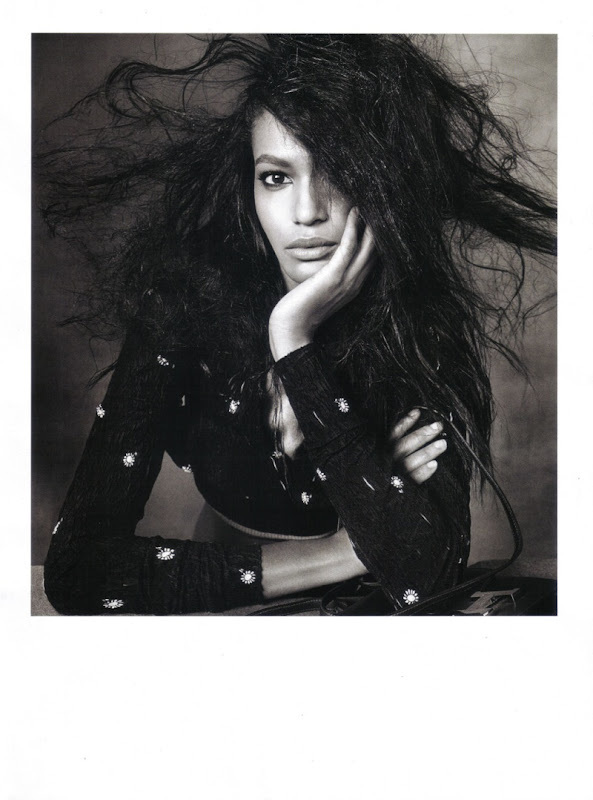 Especially when I have a bad hair day, I can be just like "umm it was in Vogue Italia? Duh?" No, but really, they look fantastic and somehow their hair does too.